Montana trail runners competed near and far over the weekend - and two who are familiar here were responsible for much of the drama at one of the country’s premiere races. It’s likely the two biggest stories of the weekend belong to Jim Walmsley and Andrew Miller at the Western States 100-Mile Endurance Run, which climbs 18,000 feet and descends nearly 23,000 between Squaw Valley and Auburn, California. Walmsley is a former Black Eagle resident and holds the Sentinel Hill Climb course record, while Miller set the Bighorn Wild and Scenic Trail Run 100-mile record last year. Also, Walmsley was first and Miller second at the Old Gabe 50K in 2014. Walmsley led the field almost all day, running 20 minutes ahead of course-record pace at the halfway point. It wouldn’t last, however. Crossing the American River at mile 78, Walmsley was swept downstream, likely costing him some energy. Then, approaching the Highway 49 crossing and mile 93.5, he went off the course for several miles and fell behind, costing him the record. Walmsley finished the race in 20th place at 18:45:36. Miller steadily progressed to the front of the pack all day and was second across the American River, then took the lead at Highway 49 after Walmsley went off course. The 20-year-old became the youngest Western States winner with a time of 15:39:36. Follow-up interviews with Walmsley and Miller, and video of Walmsley’s river crossing, are available on iRunFar.com. Also passing Walmsley was another runner familiar to Montanans - Ben Bucklin of Spokane, who finished in 15th at 18:00:09. Bucklin is a University of Montana graduate from Plentywood. Montanans who finished the race are Adam Behrendt, Jesse Langner and Carrie Gaffney of Bozeman, Debbie Gibson of Helena, Kevin Davis of Livingston and Tod Bachman of Missoula. At the 10-mile Jim Bridger Trail Run outside Bozeman, Darby native and former Montana State University runner Seth Garbett set an impressive course record of 1:12:01. We can expect Garbett to become a competitive trail runner if he sticks with it. The course features a water crossing and 2,000 feet of climbing in the Bridger Mountains. Here are the full results. We don't usually cover triathlons, but this seemed rather unique: In Ambleside, England, Missoula's Andy Drobeck won the Triathlon X - billed as the "world's toughest" ultra-distance triathlon. After a 2.4-mile swim on the country's longest lake, Windermere, competitors cycled 112 miles, gaining 12,000 feet. The race finished with a 26.4-mile run that gained 5,000 feet on a 95 percent off-road route up Scafell Pike, England's highest point. Drobeck said he beat the summit check crew to the top of the run and had to wait 5 minutes before finishing in 12:38:39. This was only the second year of the race and the first on that course. First, a reminder about our trail work party from 5 to 8 p.m. Wednesday at the Orange Street trailhead for the North Hills. The Montana Trail Crew recently facilitated the transfer of private land there to city open space, and we’ll be moving trailhead facilities. Volunteers will get pizza and beer when the work is complete. Here’s more information and the volunteer signup. 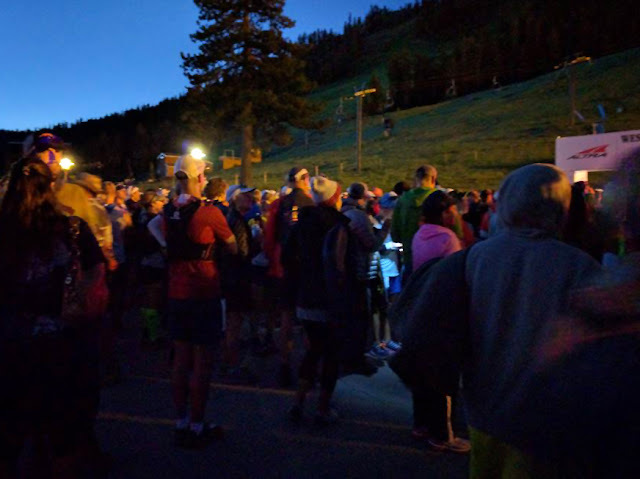 The trail-race schedule appears to be light this weekend due to the Fourth of July holiday, with the exception of the Bangtail Divide 38K in the Bridgers. The course gains just over 3,000 feet on the Bangtail Divide Trail between the Stone Creek and Brackett Creek trailheads. Up in Seward, Alaska, Whitefish native Matt Shryock won entry into the short-but-grueling Mount Marathon Race, which gains 3,022 feet over 3.1 miles. Last year, he placed sixth with a time of 44:44. Also on the entry list are Jeremiah Simono of Helena and Suzie Mauro of Clancy. Both ran last year as well, finishing in 1:11:23 and 1:34:53, respectively. Great Falls, MT represented at the Black Hills 100. Finished in 33:26:06!